Tornado Gloves are experts in hand protection across multiple industry sectors; including aviation, construction, logistics and warehousing. Our safety gloves are specially designed for specific tasks, operations and environments. 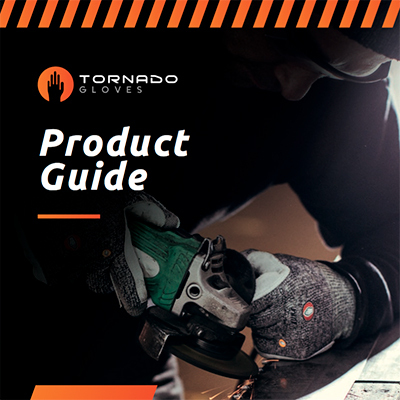 At Tornado, we're totally customer-focused and our team are fully trained to provide superior service, product information and technical support. We use the most technologically advanced materials to produce high quality protective gloves for use with the most technologically advanced machines and in some of the harshest work environments. What makes Tornado Gloves so different? Tornado Gloves are one of the leading specialists in the manufacturing and supply of safety gloves in the UK. From humble beginnings in 2001, our knowledge has been refined through years of research and we dedicate our resources to producing the best quality hand protection on the market for a wide range of industries and working environments. We specialise in the development, manufacture and supply of protective gloves for a wide range of industries, including aerospace, construction and warehousing. We frequently develop bespoke workwear gloves for specific tasks or end users using nine different technologies to ensure optimal protection and maximum comfort. Cut-resistant, durable and comfortable, our state-of-the-art gloves are designed to cope with the toughest workplace tasks, offering the highest level of protection while remaining comfortable and durable for the wearer. But we don’t just develop and manufacture the gloves, here at Tornado we also offer a FREE evaluation service for businesses to help them find the best hand protection solution to suit their budget. Our Quest technicians can visit your site in our specially designed Mobile Hand Safety Lab and conduct a full site study and produce a detailed report to help you find the best solution to suit your budget.